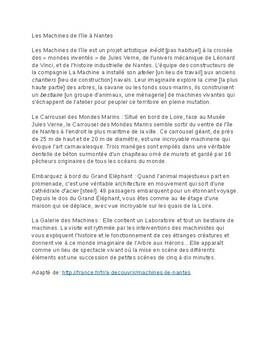 Activities about the Machines de l'Ile de Nantes, an interactive attraction based on the work of Jules Verne. 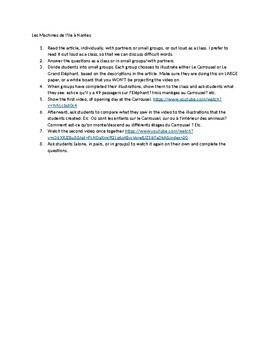 Students read an article, predict what they will see, watch a video and compare it to their predictions. Then they watch a video and complete listening comprehension questions. 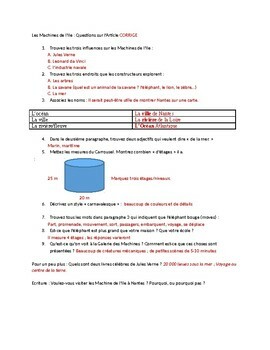 I use this in French 3, could work for French 2 or more advanced classes.